Middleburgh - Gladys Evelyn (Kvaestad/Johnsen) Meschutt went to claim eternal life with her Lord and Savior Jesus Christ on Tues October 30, 2018 at Bassett Hospital in Cooperstown after a wonderful 89 years of life. She was the only child of Norwegian immigrants, Halvard (Kvaestad) and Elise (Rosness) Johnsen and was born on Aug. 28, 1929 in Bay Ridge, Brooklyn, NY. The family moved to New Hyde Park, NY in 1941. She graduated from Sewanhaka High School and then attended Hofstra University where she was voted the Homecoming Queen her senior year. She graduated with a Bachelors degree in Mathematics in June 1950 and the next weekend married her one love, Howard "Thurm" Meschutt Jr., on June 17th, 1950. They moved to Hampton Bays, NY and began their life together which they shared for the next 68 years. On April 3rd, 1963 she gave birth to her only child, Randall J. Meschutt. In the early 90's she was blessed with the birth of two of her life's greatest joys, her grandsons, Alexander and Jonathan Meschutt. 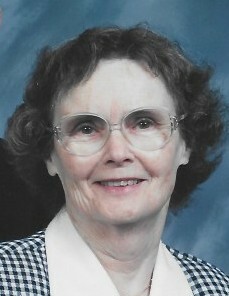 She worked alongside her husband at Meschutt Pharmacy from 1951 to 1963, then took time to work at home raising their son. In the late 70's she returned to the paid work force in the Hampton Bays School District starting in the math department and transitioning into the newly formed computer classroom. She later worked in the school district offices as an auditor until her retirement in 2007. As well as being an active member of the Hampton Bays United Methodist Church since 1950 she also taught Sunday School from 1969 to 1990, was active in the church choir and a member of the Church Commission on Education, the Council on Missions and the PPR Committee. She also spent many years as a Den Mother in Cub Scout Pack 483. She is predeceased by her parents, her step mother Hjordis Johnsen, as well as her in-laws Howard T. Sr. and Annie Meschutt, several brothers, sisters-in-laws and nephews. She is survived by her husband of 68 years, Howard T. Meschutt Jr. of Hampton Bays and Middleburgh, NY, her son Randall J. Meschutt and his wife Shari of Middleburgh, NY, grandsons Alexander J. Meschutt of San Diego, CA and Jonathan Meschutt of Oneonta, NY as well as her sister-in-law Anne Mepham of Williamsburg VA and brother-in-law Fredrick P. Meschutt of Dix Hills, NY as well as many nieces, nephews, step-grand children, a great-grandson and extended family and friends. Inurnment will take place in Good Ground Cemetery in Hampton Bays at a later date, at the convenience of the family. Coltrain Funeral Home, LLC of Middleburgh is honored to be caring for Gladys and her family and thanks you for remembering them through this time. Gladys’ family asks that a contribution be made to the United Methodist Church of Hampton Bays NY in Gladys' name. 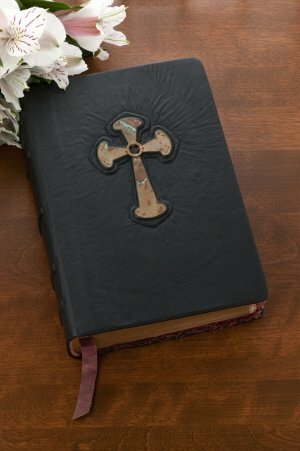 The church has just purchased new pew bibles for the sanctuary and for each $10 received the church will memorialize one of these new Bibles in her name. We feel this is the most appropriate, long term and significant memorial that could be made to honor her memory. Donations can be mailed directly to the Hampton Bays United Methodist Church, 158 West Montauk Highway, Hampton Bays, NY 11946. Please place Gladys Meschutt's name in the memo.